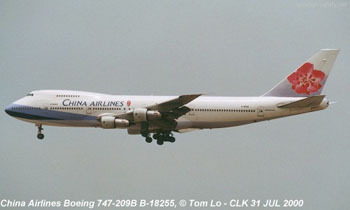 On May 25, 2002, China Airlines Flight CI611, a Boeing Model 747-200 series airplane, experienced an in-flight breakup over the Taiwan Strait. The most probable cause of the accident was the structural failure of a 22-year-old tailstrike repair located on the aft lower lobe of the fuselage. The skin scratches associated with the tailstrike event had not been removed prior to installation of the permanent repair doubler. Over time and airplane cycling, multi-site cracking progressed from the scratches, ultimately leading to a catastrophic failure of the airframe.